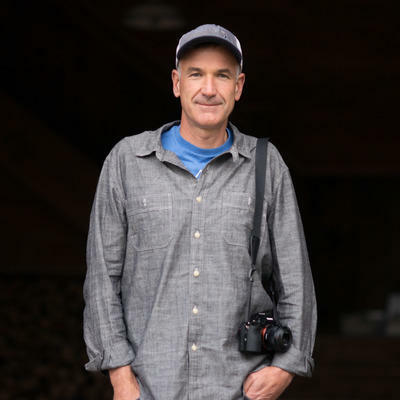 There are a few reasons that being nice is important to photographers. The first has to do with karma. I’m definitely not new agey in any way, but every photographer will tell you that pure luck played a role in some of their favorite images. Why did the sky open up at just the right moment and rain down the perfect light? Why did the kid with the faded red towel walk perfectly into frame just when you needed him to? I like to believe it was because your karma was in good working order. Most of the time anyway, you reap what you sow. The second reason is more practical. Subjects like to open up to people who are kind, empathetic and genuine. Clients like to give work to talented people they want to spend time with. Do you like spending time with nice people or with jerks? Exactly. In the past 25 years, I could probably trace every job I’ve ever gotten back to 15 people. They would recommend me to others because I had put in enough hours to get good at my craft and they enjoyed my company as much as my work. It’s that simple. Solid Talent + Nice Personality = Third Person Referrals. Third Person Referrals = Work. This also happens to be a much less icky way to think about marketing. The third reason is that being nice is often a byproduct of being really good at your craft. I’ve come to realize that amazing photographers are nice because they don’t have anything to prove and don’t feel threatened. Maybe most importantly though, it’s just plain easier to go through life being nice. 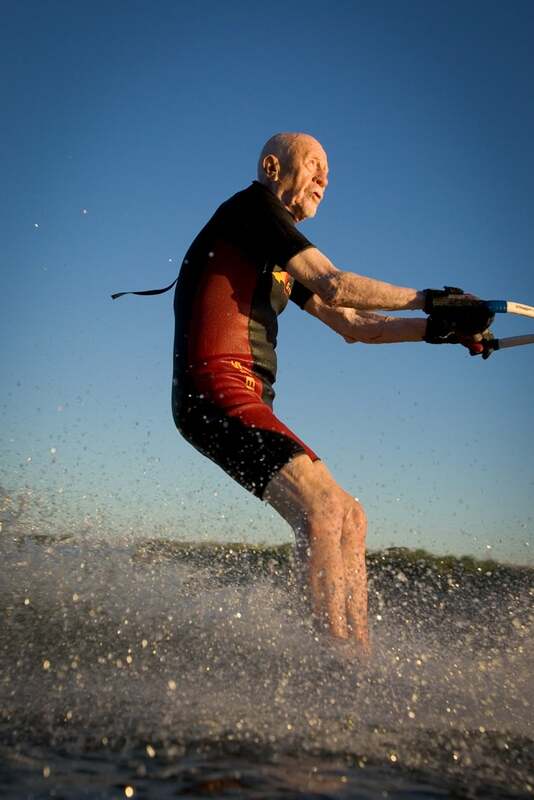 I shot this picture of 99 year old waterskier for National Geographic Magazine. I flew out to Washington state but it was cloudy so I had to wait for a few days for the weather to break. It finally did but he was having trouble getting up on the skis. We waited another day for evening light, he finally got up on the skis and was able to make exactly one pass by me. The entire trip took 6 days and I shot exactly 6 frames. This was one them. I shot this image of members of the Karkuk tribe on the Klamath River in California fishing for salmon using traditional dip nets. It took four trips there just to convince them to let me come to the sacred spot and another two trips to be there when they actually caught fish. Gaining a subject’s trust and being at the right place at the right time is often 90% of the battle. This iceberg was about a mile offshore from Quirpon Island in Newfoundland, Canada. I was shooting handheld from a sea kayak. Anyone who has ever sea kayaked knows that when you put your paddle down your boat becomes very unstable. 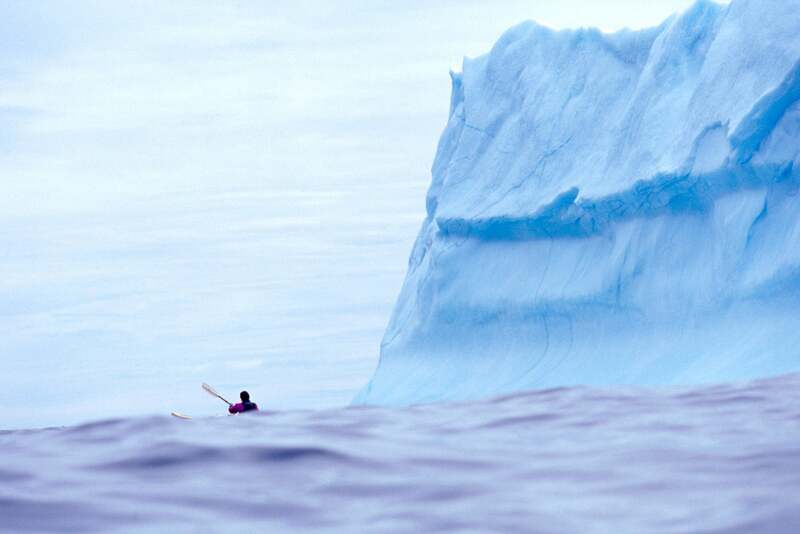 About 20 minutes after I shot this picture and was paddling back to shore the entire iceberg capsized causing a large chunk of it to break off and roll where we were paddling. If we had been there 20 minutes later we most likely would not have made it back to shore.